Undoubtedly, the most popular way to fish for catfish is by anchor fishing. Simply casting your baits out and waiting is a time tested method that works extremely well. There are some inefficiencies associated with this method when fishing out of a kayak though. In the paragraphs below, I am going to discuss these inefficiencies and explain how I intend to overcome them. Before I go any further, I want to touch on safety. The biggest challenge with anchor fishing in a kayak is doing it safely. Unfortunately, it just isn't possible to anchor a kayak without taking on some risk. However, there are some things you can do to reduce the risk of accident or injury such as not anchoring in swift current, utilizing an anchor trolley, having a quick release system on your anchor rope, using a stable kayak, avoiding areas with pleasure boat traffic, etc. It also goes without saying that you should always wear a PFD anytime you are in a kayak but especially if you are anchoring down. Again though, anytime you attempt to anchor a kayak you are at risk for accident or injury. No matter how many precautions you take, that risk can never be completely eliminated. Please be extremely careful if you choose to anchor your kayak. Now lets get into the inefficiencies. The kayak by its nature is an inefficient platform to fish from. Everything takes longer in a kayak than when fishing from a boat. In order to achieve the best results, it is important to try to eliminate as much wasted time as possible. Regardless of whether you paddle, pedal, or use an electric motor to propel your kayak, your speed is limited. While speed limitations do not necessarily limit your overall range, it does impact how quickly you can get from your launch site to where you intend to fish and back again. The longer you spend in travel time, the less time you have to spend with baits in the water on a given trip. Because of this, it is extremely important to choose launch sites and fishing locations that will allow you to spend as much time as possible actually fishing versus traveling there and back. Deciding how many spots to fish on a particular trip can play a big role in determining how much time you will get to spend actually fishing. As I mentioned before, everything takes longer in a kayak. Due to the safety risks, getting anchored down and also retrieving your anchor when it is time to move takes several minutes. Baiting hooks, casting your lines, and also reeling them in at every spot takes time. Traveling spot to spot can also severely cut into your fishing time depending on how much distance you have to cover between them. The more spots you fish, the less time you spend with baits in the water. The most common way of anchor fishing is to position your boat/kayak above the location you want to fish and cast your baits to that area. While this presents no issue for a person fishing from a boat, in a kayak it can lead to downtime. Often times, when a large pleasure boat goes by, it becomes necessary to detach your kayak from the anchor for safety reasons due to high boat wake. When this happens, you have to reel in your lines, reattach yourself to the anchor, and then cast your baits back out after the safety threat has passed. The time you spend without baits in the water is lost time that you can't get back on a trip. Suspending baits instead of casting them can help reduce downtime in this situation because you do not have to reel in your lines and recast to get setup again after detaching from your anchor. There is an added risk of losing a fish due to it getting tangled in your anchor rope though. Those of you who watch my YouTube videos have probably heard me say that I like to keep my baits on good structure and keep moving. It is a philosophy that has served me well through the years and is something I wholeheartedly believe in when drifting and trolling for catfish. When it comes to anchor fishing though, I can't help but think that it may have hindered me. The countless hours of lost fishing time from traveling long distances from launch sites, hitting multiple spots each trip, reeling in and recasting lines each time I have detached from my anchor has almost certainly cost me fish. As I touched on in a previous blog post, I am doing an experiment for 2019 where I completely change my game. Instead of going by the "keep my baits on good structure and keep moving" philosophy, I am putting my baits on good structure and staying put. I hope to overcome the inefficiencies of anchor fishing by choosing locations close to launch sites, limiting myself to fishing one or two spots per trip, and suspending baits versus casting them. I have marked 50 spots on navionics that I plan to fish this year. Some I have fished before and some are brand new to me. These spots are located on four different bodies of water (Fort Loudon, Tellico, Watts Bar, and Melton Hill). What these spots all have in common is that they are places I expect fish to either pause or congregate at or places they will have to pass through. By running this experiment for a full year and hitting multiple bodies of water, I hope to get an accurate assessment of how this method stacks up against how I have fished in years past. Time will tell how it will turn out but I am off to a great start this year. 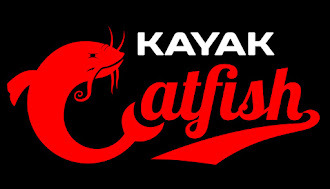 Follow along with me at the Kayak Catfish YouTube channel.